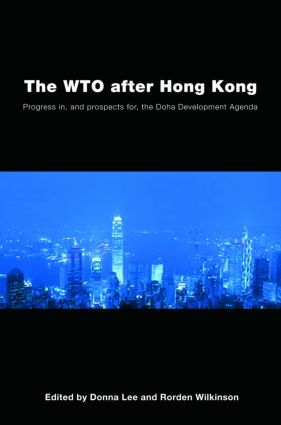 After the World Trade Organization’s (WTO) critical December 2005 Hong Kong ministerial meeting, negotiations to implement the Doha Development Agenda (DDA) broke down completely in the summer of 2006. This book offers a detailed and critical evaluation of how and why the negotiations arrived at this point and what the future holds for the WTO. It brings together leading scholars in the field of trade from across the social sciences who address the key issues at stake, the principal players in the negotiations, the role of fairness and legitimacy in the Doha Round, and the prospects for the DDA’s conclusion. The WTO after Hong Kong is the most comprehensive account of the current state of the World Trade Organization and will be of enormous interest to students of trade politics, international organizations, development and international political economy.